As an ESD simulator (a gun) discharges to a test point of a DUT, currents flow to chassis and internal PCB. The currents radiate E&M fields, and the field couples to components or traces in the PCB, inducing voltages or currents to the circuit. The induced voltages and currents can cause functional or unrecoverable failures to the circuit. (3) and recording the responses of the DUT to the induced voltages or currents. Currents can be injected directly to the circuit by direct injection probes and DUT response can be monitored, too. 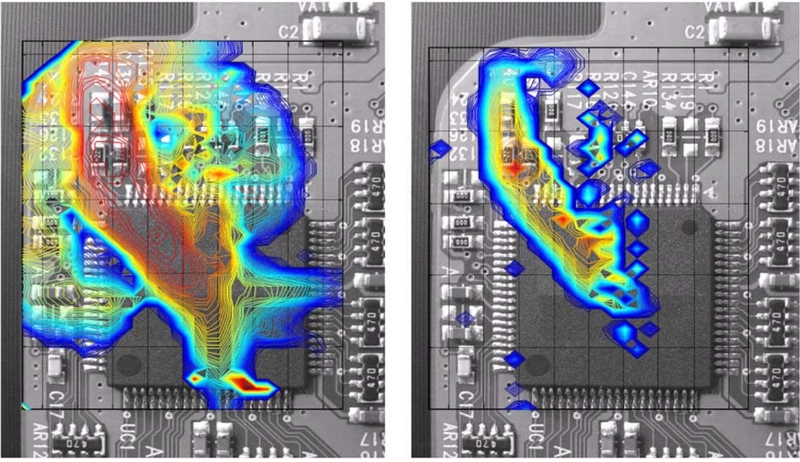 ESD scan is an excellent tool to localize and debug IEC 61000-4-2 failures. Evaluation of countermeasure that applied to modules is another area of application. 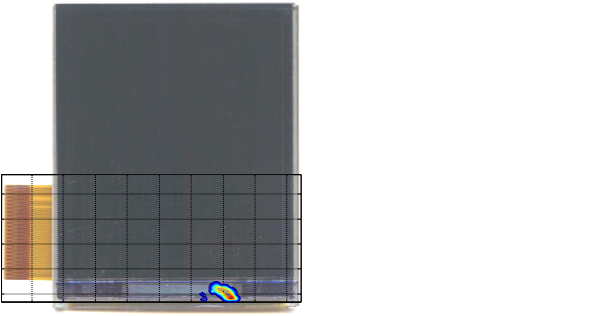 The ESD scan is very effective inspecting which supplier's part has the least likelihood of causing ESD failures among multiple suppliers for functionally identical components. It is more desirable that screening out potentially problematic IC's and modules before they are assembled into complete systems. The ESD scan can provide good information to determine minimum ESD immunity level with accumulated database by products. "ANSI/ESD SP 14.5-2015, For electrostatic Discharge Sensitivity Testing - Near-Field Immunity Scanning - Component/Module/PCB Level", that was published on Sept. 2015, provides good guidelines. 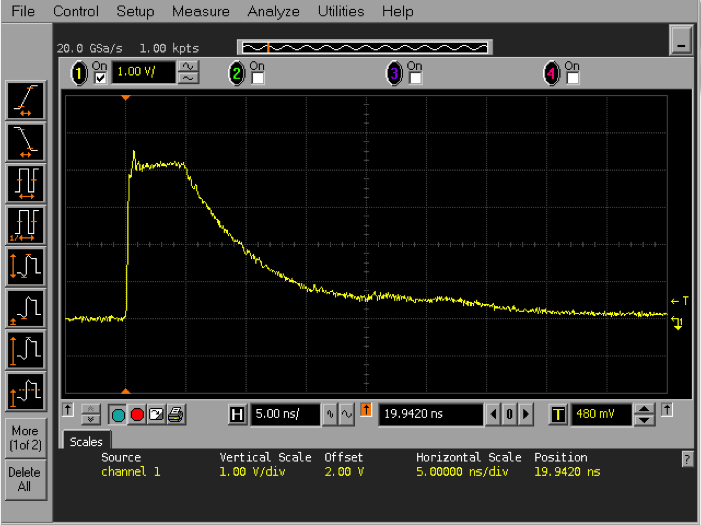 The disturbance source of the ESD scan is a TLP with < 350 pSec rise time. For more information on backgrounds of selecting TLP as the source, please, check the paper in Library section. ESD probes are in-house designed to have maximum E&M radiation. 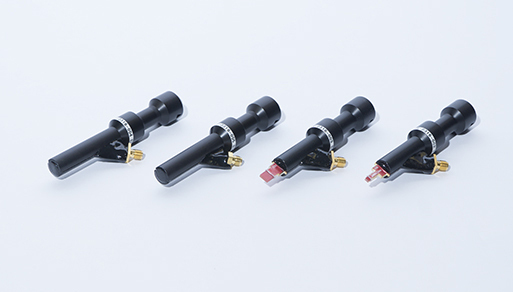 Several different sizes of magnetic field, electric field and direct injection probes are available. Drawings below show concepts of four different types of probes. It is expected to provide a certain level of customization for automatic failure detection because failure definition is very different by products. Contact API for customization details.